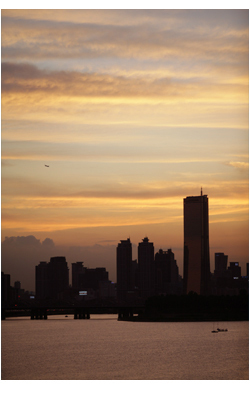 Yeouido is an island that is like a jewel crafted by the Hangang River. Once nothing more than a sandbar in the middle of the river, used primarily as a ranch to breed horses and sheep during the Joseon Dynasty, it is now the so-called "Manhattan of Seoul," home to the National Assembly (the national parliament of Korea) and other public institutions, broadcast media, financial companies and even an ecological park. The sprawling park in the center of the island brings to mind New York's Central Park---it's a forest where the city and nature breathe as one. Yeouido is a great place for urban exploration, a place where you can take in the iconic skyscrapers and find all sorts of things to see, eat and enjoy. Renting a bike to circle the island is a good way to recharge, too. In spring there's the Cherry Blossom Festival, when the island's famous cherry trees along Yunjung-ro Road blossom in beautiful fashion. In early autumn the island hosts the Seoul International Fireworks Festival; thousands flock to the area around Yeouinaru for a fall evening of spectacular fireworks. From Yeouido you can also take a romantic cruise on the Hangang River or enjoy a wide range of water sports like waterskiing and yachting. Walking the floors of the exhibition hall, we can re-experience our favorite dramas and entertainment programs of yesteryear---the shows may have ended, but they remain in our hearts. We can also see how it was these very programs that kicked off the Korean Wave. The popularity of Korean dramas like "Autumn in My Heart" and "Winter Sonata" spread from ROK to Japan, China and the rest of the world. The people who made these dramas were the generation that grew up watching the so-called "Hong Kong noir" of the 1970s and 1980s. In fact, it wouldn't be an exaggeration to say that this generation, who went wild about popular Chinese actors and envied the pop stars of the time, were the real leading men and women who got the Korean Wave started. While older visitors can relive fond memories, younger visitors can experience the thrill of becoming broadcasters themselves at the hall's mock studio and animation dubbing corner. A 3D video hall allows guests to experience the fun of media through a short---but thrill-packed---movie. Here visitors can watch a film on the history of Korean broadcasting, which goes back to 1927, and the activities of Korea's news announcers, one of the most sought-after jobs in the country. You can also experience what it's like to put together a radio program. 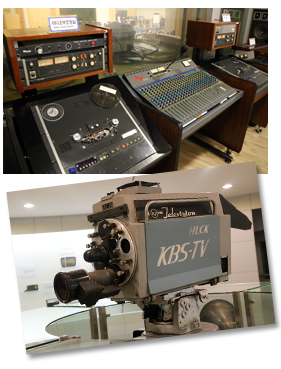 Visitors can observe the giant cameras that were used in the early days of broadcasting, Korea's first televisions, the endless development of microphones, and other points of historical interest. As you look at the old broadcasting equipment, which has evolved surprisingly quickly to bring you broadcasting of better and better quality, you begin to gain a deeper understanding of the generations that came before you. 9:30am to 5:30pm (admission ends at 5pm). Closed every first Monday of the month as well as New Year's Day, Lunar New Year's and Chuseok. A giant forest, Yeouido Park runs along the western side of Yeouido's central road. It's a favorite leisure spot of nearby office workers and residents. In 1916, a rough surface airfield was built in Yeouido. Korean independence activist Kim Ku---the last president of the Provisional Government of the Republic of Korea---used the airfield when he returned to Korea from China upon Korea's liberation from Japanese colonial rule in 1945. What is now Yeouido Park used to be the old runway. The airport closed in 1958, and the space was turned into a parade ground called Yeouido Square. Despite being covered in asphalt, it proved popular with families and couples who used the surface for bicycling and rollerblading. Yeouido Square was reborn as an ecological space named Yeouido Park on July 5, 1999. It is divided into four sections (listed south to north): Nature's Ecosystem Forest, Culture Square, Grass Square and Traditional Korean Forest. The park is ringed by 2.9km of bike paths and 2.5km of walking paths. Culture Square remains a paved surface where, like in the old days, you can enjoy rollerblading and other sports. Broadcasters make frequent use of the space to shoot TV entertainment programs, too. 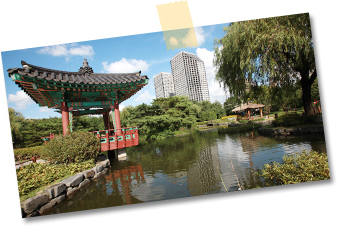 The various flowering plants and evergreens that greet you throughout the park serve as Yeouido's oxygen tank. In the Traditional Korean Forest there's a beautiful pond and pavilion where visitors can experience the naturalistic beauty of Korean traditional gardening. In the center of the park, a statue of King Sejong the Great (r. 1418--1450)---the beloved Joseon Dynasty monarch who, among other things, oversaw the creation of Korea's brilliant indigenous writing system, Hangeul---and sculptures dedicated to his accomplishments awaken a sense of pride in the Korean people. The landscape---couples walking along the narrow paths, parents playing with their children, office workers taking a moment off from their busy schedules, skyscrapers harmonizing with nature---is so beautiful it can remind you of Manhattan's Central Park. 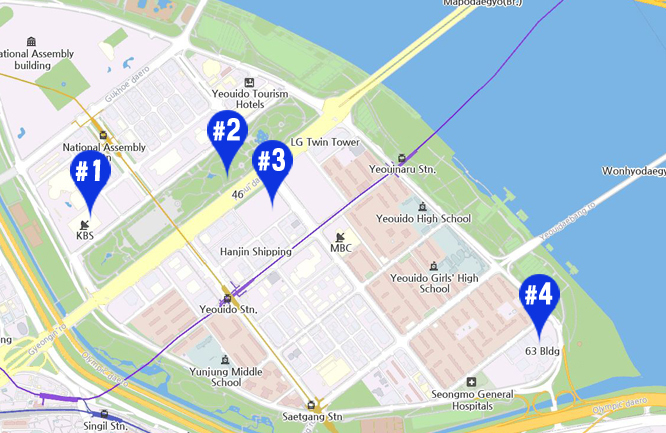 Getting There : A 10 minute walk from Exit 3 of Yeouido Station (Line 5) or Exit 3 of National Assembly Station (Line 9). The International Financial Center (IFC) is a composite space that includes three office buildings, the Conrad Seoul Hotel and one of Seoul's largest---and most unique---shopping malls. Planned from the very beginning to be a new Yeouido landmark, the IFC is now one of the hottest places in Yeouido. The IFC's main building might not have as many floors as its neighbor, the iconic 63 Building, but it is 30m higher. 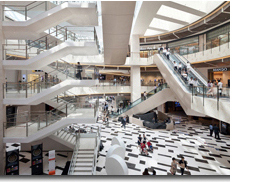 The mall, meanwhile, was designed by famous UK-based architecture and design house Benoy. Piercing the sky, the four towers of One, Two, Three IFC and the Conrad Seoul Hotel lend the Yeouido skyline an even greater beauty. The sculpture garden and art gallery at the entrance serve as an urban oasis, a good place to enjoy a bit of rest and relaxation. The entrance of the IFC Mall, the Glass Pavilion is, as the name suggests, a glass structure standing 17m high. It fills the mall with natural light and provides unobstructed views. The feeling of coercion from the surrounding skyscrapers gives way to a feeling of natural lightness, as if you were gazing at the sky from a field. 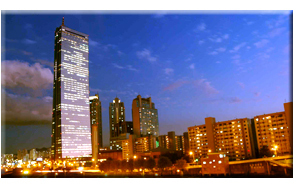 It provides a space were you can appreciate both architectural beauty and urban sophistication. 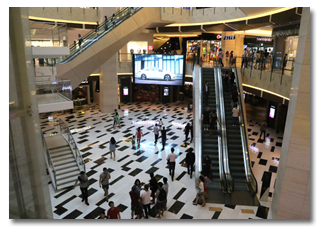 A space for shopping, eating and cultural events, the IFC Mall is where you go to satisfy your inner fashionista. Getting There : Make use of the moving walkway as you come out of Exit 3 of Yeouido Station (Line 5 or 9). Business Hours : 10am to 10pm. Some shops my open earlier on the weekends; the street shop is open until 11pm. Closed every first Monday of the month as well as New Year's Day, Lunar New Year's and Chuseok. The IFC Mall is in the basement of Three IFC. It exudes an exotic charm thanks to its unique display methods and differentiated design that set it apart from existing shopping spaces. The natural light that floods in through the glass ceilings and smooth, simple pathways through the wide store spaces create a rhythmical flow as shoppers circulate the floors.Three floors deep, the natural sweep of the space in all directions is a feast for the eyes.The mall hosts major local and overseas SPA brands such as Zara, Massimo Dutti, popular Korean SPA brand 8seconds (especially popular with younger shoppers) and the first Korean branch of the US brand Hollister. Other global fashion brands like Mango, Banana Republic and Gap are represented as well. 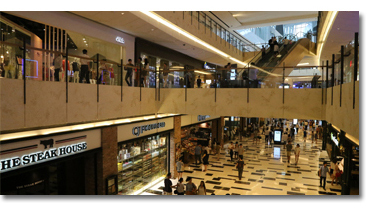 In the 2nd underground floor you'll find a wide range of sporting good brands and a branch of major Korean booksellers Youngpoong Bookstore, where---like at most major Korean bookstores---you can purchase music albums, stationary and office supplies and, of course, books. In the third underground floor there's a CGV movie theater and the Food Court, a row of restaurants selling foods from around the world. 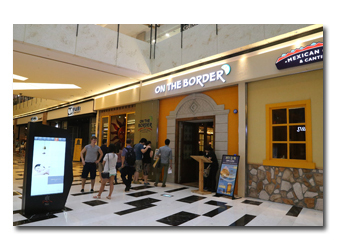 In the center of the Food Court is Olive Market, a very popular shop for premium foodstuffs run by Korean food and lifestyle channel Olive. 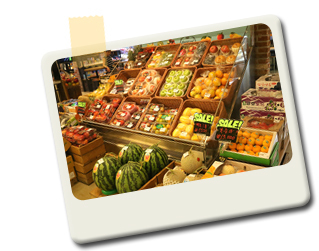 Here you'll find fresh produce straight from the farm and a whole lot of country market charm. Expect to see long lines of people come to try out its wide range of new and hard-to-find foods. Indulge your inner epicurean. 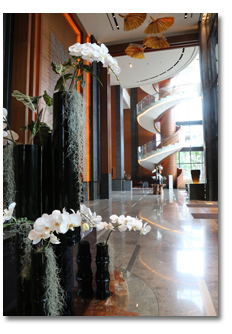 A hotel is no longer simply a place to stay---it's a space that should provide a sense of awe and luxury. The Conrad Seoul really gained the public's attention when it frequently appeared in the popular 2013 Korean drama "Shark," in which a mysterious young man returns to Korea from Japan to seek vengeance against the owners of a hotel group, who are responsible for killing his father. It has since become a new Yeouido icon. You'll find few places in the city as romantic. Surrounded on all sides by class windows, the hotel provides wonderful views of the Hangang River, and the cuisine---prepared by top chefs---is first-rate. Its bronze silhouette dominating the skyline, the 63 Building---60 floors above ground with three underneath---was for years Korea's tallest building and is still one of Seoul's most popular tourist attractions. 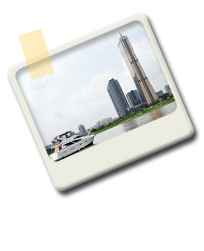 Housed in the iconic skyscraper, 63 City is a travel destination that combines views, food and fun. The Wax Museum, Sea World aquarium and buffet restaurant in the 3rd floor basement is always full of people. The basement is also where you take the high-speed elevator to the 60th floor observatory---moving at 540m per minute, the elevator takes just 25 seconds to reach the top. If you make a reservation, however, you can get the so-called Love Elevator all to yourself and someone you love---these slower trips take 1 minute, 20 seconds. In addition to the observatory, the 60th floor is also home to Sky Art, the world's highest art hall. Like New York's Empire State Building, the observatory provides stunning views over the city. The Walking on the Clouds sky lounge on the 59th floor offers fine food with fantastic views. Leave Exit 1 of Yeouinaru Station (Line 5) and head straight along Yeouidong-ro Street. Likewise, you could leave Exit 3 of Saetgang Station (Line 9) and head straight along Yunjung-ro, following the Hangang Riverside. The world's first wax museum was the famous Madame Tussauds in London. Marie Tussaud, who learned wax modeling from a Swiss doctor when she was young, was entrusted with making the death masks of the most illustrious victims of the Reign of Terror of the French Revolution, including Louis XVI and Marie Antoinette. Moving to London, she founded an exhibit in the city, today's Madame Tussauds. 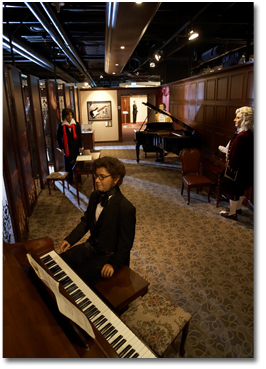 The 63 Wax Museum occupies part of the 2nd and 3rd basement floors of the 63 Building. It contains about 70 wax models of world-famous celebrities, Korean leaders, famous artists and the like. Visitors are able to meet face-to-face with Korean independence activist Kim Ku, Korean presidents Park Chung-hee and Kim Dae-jung and US President Barack Obama. In the Artists' Section you can find Beethoven, Bach and Mozart. Maybe you'd like to have your photo taken with Pablo Picasso, Marilyn Monroe, James Dean, Bae Yong-joon, Leonardo DiCaprio and Elvis Presley? Be sure to check out the stars' personal possessions on display while you're here. Business Hours : 10am to 10pm (admission ends at 9:30pm). 63 Sea World opened in 1985 as Korea's first aquarium. Among the stars here are the African penguins, fan favorites. An underwater ballet show (12:30pm, 1:30pm, 2:30pm, 3:30pm, 7pm and 8pm) is performed six times a day---set to tango music, the lively dancing will leave you breathless, and the female dancer in particular will bring to mind the mermaids of legend. As you watch, you'll feel as if you're swimming in the sea, too. 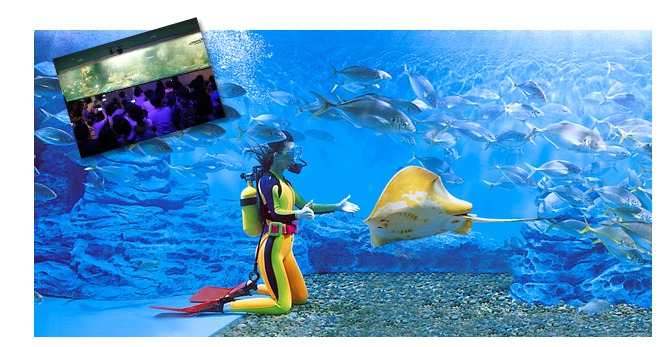 Other events take place depending on the day of the week, like divers feeding the seals and sea lion talent shows. It's a great place to experience the mysteries of the sea. 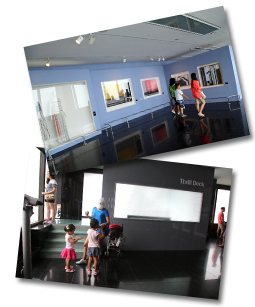 An art gallery at the very top of 63 City, 63 Sky Art provides stunning views no matter which direction you look. 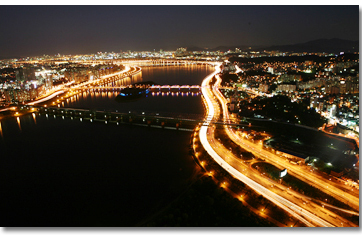 Enclosed in class on all sides, you are afforded great views of all the major landmarks along the Hangang River, including the Wonhyo Bridge, Mapo Bridge and Hangang Railroad Bridge and Bamseom Island. The so-called Thrill Deck is worth experiencing, too. Making use of mirrors, the platform provides an exciting---and vertigo-inspiring---experience that's not unlike looking straight down from a height of 240m.